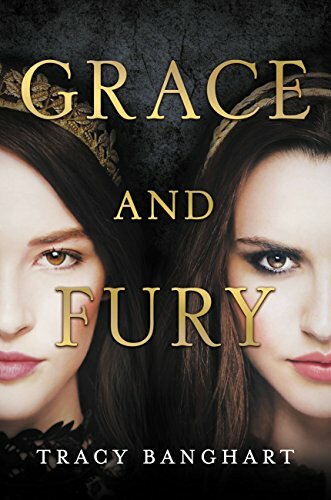 If you want to stoke the fires of revolution in your soul, you should read Tracy Banghart’s Grace and Fury, the story of two sisters who become determined to bring down an oppressive, misogynistic regime. Grace and Fury is fiercely feminist; the story of sisters Serina and Nomi, who are struggling in a world where women are given no choice. Serina has been training her entire life to be Grace – a woman chosen by the Heir to be a member of his harem – and Nomi has been trained as Serina’s handmaiden. But Nomi has a rebellious side and has never been willing to accept her lot in life. She learns to read – against the law for women – in secret, and when she and Serina are finally in the palace, she steals a book from the library, only to be caught by the Heir and his brother. Startled, she ends up mouthing off to the Heir, and later on is shocked when he chooses her – and not her sister – as a Grace. Meanwhile, Serina takes responsibility for the theft of the book and sent to Mount Ruin, a terrible prison for women where they are forced to fight to the death for rations. There is a lot that is great about Grace and Fury. It is, as I mentioned, an extremely feminist book, but Serina and Nomi are careless and make a lot of mistakes that end up endangering the innocent people around them. It is the story of the start of a revolution, and though the society described pissed me off, I got more invested the longer I read. The misogynistic society developed because centuries before, a woman seduced and killed the king, and when she was deposed, women were oppressed so that they would never be a “danger” again. No woman is allowed to read, because if they knew how, they would know that the men have been lying to them for years. Nomi has always hated that she has no choice, whereas Serina “chose” to be a willing participant. But Serina’s experiences at Mount Ruin show her that the world is vastly more unfair than she realized. Both sisters separately plan a revolution, albeit very poorly. Motivated by saving each other from a terrible fate, they take chances that they shouldn’t, trust people blindly, and put people they care about in harm’s way. However, for a feminist book, they did a disservice to its main characters by giving them extremely trope-y romances. Serina was the perfect opportunity to introduce an LGBTQ+ romance, as she is on an island populated almost entirely by women. Instead, she falls for the only decent male guard – extremely quickly, I might add. There is actually an LGBTQ+ character – Maris, one of the other Graces who befriends Nomi. Maris was dating a woman – also illegal in this society – and was forced to become a Grace or her parents would turn her in. She has no idea what happened to her girlfriend, but given how the book ends, we may see a reunion in the second installment. Nomi, meanwhile, falls hard for the first attractive guy that shows any kindness to her, which of course is a very poor decision. And of course, there’s no reason to have romance at all. They’re planning a revolution, for crying out loud. They have more important things to think about. All in all, Grace and Fury is a decent read. Nomi and Serina were sadly lacking in depth, and though the story alternated between their points of view, they didn’t have a very different voice. The worldbuilding is also not that stellar. But it’s a very gripping story, even if the premise is a little tired, and as I said, I got more invested the further into the book that I got. It definitely got me riled up to bring down society. Grace and Fury by Tracy Banghart is published by Little, Brown Books for Young Readers and is available July 31 wherever books are sold. Next: GotG Cast Posts An Open Letter In Support of James Gunn! What Will Disney Do?